The same blue food dye found in M&Ms and Gatorade could be used to reduce damage caused by spine injuries, offering a better chance of recovery, according to new research. 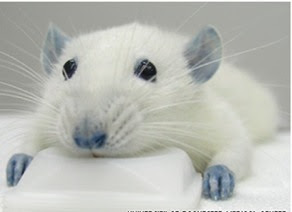 Rats injected with BBG not only regained their mobility but temporarily turned blue. Researchers at the University of Rochester Medical Center found that when they injected the compound Brilliant Blue G (BBG) into rats suffering spinal cord injuries, the rodents were able to walk again, albeit with a limp.